Are you looking for a full service mover company? Most individuals think that hiring a full-service mover is relatively costly. So, to save some money, they do the packing and loading tasks by themselves and rope family and friends into helping with their relocation. However, when you think about all the hidden expenses that are involved in a move, it is concluded that actually, it is not a cost-effective choice. Friendship, sanity, time, and even money can be saved in many ways when you let professional full-service movers like C & C Shipping Moving Company handle every aspect of your move. With C & C full service mover company you get to experienced professionals focused on all aspects of your relocation. With C & C as your moving company, you get a dedicated, highly skilled, and experienced team to make your move hassle-free. All our crew members, including packers and movers, bring skilled hands and strength with a sense of caring for your precious and exotic belongings. Our expert movers work carefully to prepare and pack your belongings for secure and safe transport. 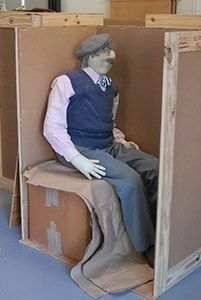 Our extensive knowledge of proper packing, loading, and moving of all kinds of household items whether they are small or large, durable or fragile, priceless heirlooms or delicate electronics - ensures a successful transport. 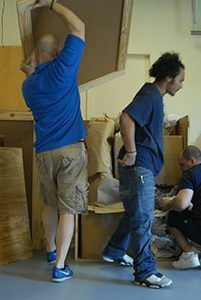 We are equally skilled at careful unloading and unpacking of your possessions at your new home. Our movers know how to relocate and truly exemplify the idea of “full service movers”. Trust expert movers at C & C Moving Company when it's time to make a local move. Since 1993, clients have depended on C & C Moving Company for know-how, experience, and affordable relocation help. Among local movers, our company is well-known for helping homeowners and businesses move to new places more securely and more easily. Whether you need to relocate between states or between continents, we are your first choice as long distance movers that answer with value, flexibility, and efficiency. When you hire our services for your long distance move, we start by understanding your expectations; then we present different options that fit your budget and your schedule. Among long distance moving companies, C & C Moving Company flexes to offer the best fit – a customized moving service fit for your needs. Save yourself the mental and physical stress of moving furniture within a home by calling us for in-house furniture/appliance moving services. At C & C Moving Company, we make it our business to pack your belongings for safe transport professionally. If you want to pack your belongings yourself, then we will provide around 15 moving boxes at no cost. If needed professional grade moving boxes and materials, we have them at affordable prices. 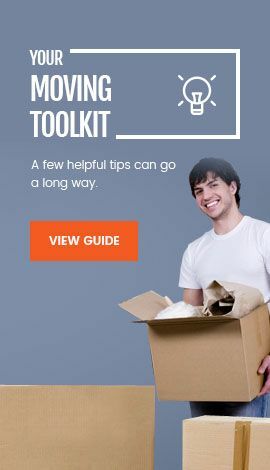 Apart from moving supplies and boxes, we will also provide packing tips on the materials you need. 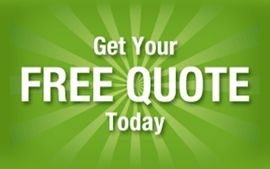 Call us today at 1-800-330-8985 or visit Moving Free Quote.